I was instantly intrigued. What a terrific opportunity to have the time to be sure a production reaches its full potential. I ’m grateful to be part of a second project with the company. 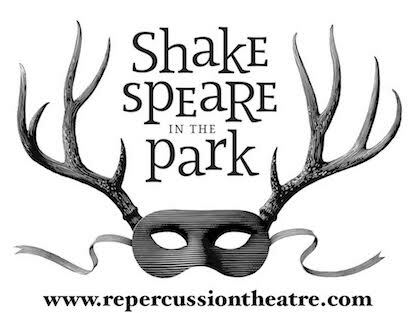 I was hired for the summer tour of Shakespeare in the Park so this all feels like a cherry on top of what has been a wonderful summer full of lessons and eye opening experiences into the world of Theatre. 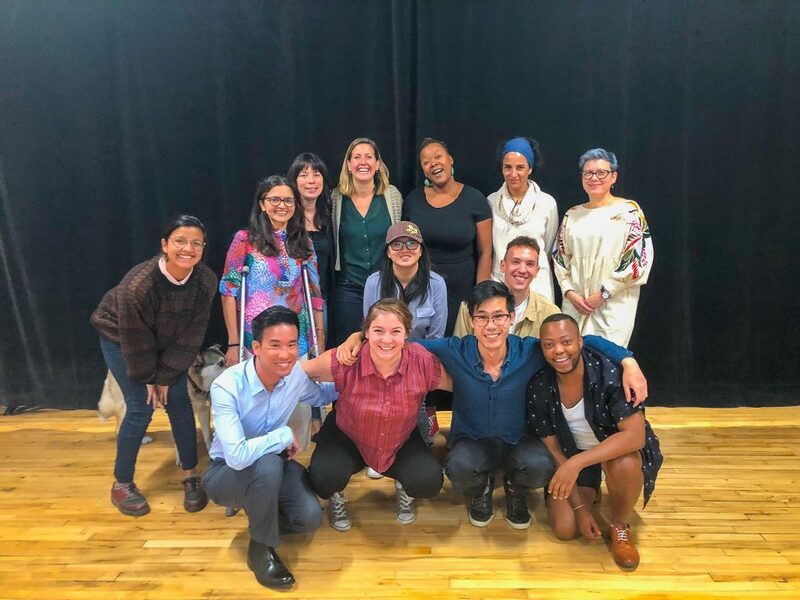 Before the public readings, each playwright will have a week of workshops and on Monday, September 10th, we began the workshop for whispers by Jeff Ho. I was lucky enough to participate a couple of times during the week, and wanted to share some of my experiences with you. Friday, September 14th: the week of workshops with Jeff has come to an end but not before the room gathers in the kitchen for some celebratory tea, cookies and bagels. The energy is joyful and you can feel the anticipation of what is to come with Jeff’s work. As the chatter moves around the room and conversations merge together. I move to a nearby table. I realize that I have to write this all down while it is fresh or I fear not doing this entire experience justice. “WOW!” I say to myself over and over as I grab my notebook. I feel joyful, light, moved, impressed, humbled and mostly, inspired. I can’t believe how much has happened in one short week. When I arrived on Monday, the group had just begun reading through the play, whispers, for the first time. I noticed right away how believable the text was and how each actor seemed to take on their character so seamlessly. Even though they were reading from the text, I believed they were recounting their own stories, expressing their own struggles and successes though Shakespeare. When the reading was finished, everyone looked up, with soft smiles and we all clapped. Amanda points out how scary it is to share a script- especially hearing it read aloud from strangers. We all agreed and applaud him. What is something you liked? What is an image that stood out for you? What is one question you have about your character/ the play? We discussed that although we all come to this table with different stories, we can all relate and understand each other. This play is a place that allows the characters to be accepted for who they truly are. Celebrated for our differences. With such positive themes uncovered from the first day, I took a group picture and left day one filled with enthusiasm for this project. I returned to the office the following day, eager to share the day with our readers, I put out some posts on social media alongside the group photo we took. I planned to post more throughout the week in order to provide you all with more of an inside scoop. The stories and discussion that had emerged from a single reading were quite remarkable and I wanted you all to experience that as well. The discussions must have delved even deeper. How unexpected yet so interesting I thought as I regretted not being there. I will be back on Friday. Sounds like things are getting very interesting! On Friday, Karine, Special Projects Manager and I joined the group. It was the first time the entire group was together since the big announcement. Everyone was graceful and understanding – excited, even. The honesty and courage to start something new was appreciated throughout the room. Jeff then read the play. I don’t want to share too much from this point- but WOW! So personal yet everyone could see themselves in his work. The conversations after the reading were even deeper and more personal than on Monday. There were tears, laughs and interpretations shared. And now I’m sitting at a table in PWM’s kitchen, sipping tea, listening to everyone animatedly chatting. I keep thinking: It seems the more personal we are, the more others can relate. I think about how all our stories are intertwined and how empowering it is when we take the time to share and more importantly listen. A room of once strangers has been given space and time to express and shed their own barriers. How powerful is that? It was indeed far more incredible than I ever expected from a workshop. This work is not only poetic, musical and of course, inspiring. It is necessary. A boy, his cockroach and the bard will go into rehearsals next month and will be performed during the week of October 24-28th. More details to come! Thank you to the entire Repercussion team, the actors, dramaturgs, creatives and especially Jeff Ho for allowing me to share the space and be inspired by your art.